Dr. Gruber is a physician and scientist. For the past 25 years he has been studying the causes, prevention and treatment of cancer. As a practicing physician, Dr. Gruber is a nationally recognized expert in hereditary cancer and continues to see patients and families with genetic susceptibility. As a scientist, Dr. Gruber has made important discoveries about the causes of cancer, and discoveries about how to prevent cancer in patients and families. Dr. Gruber has been studying the genetics of the Jewish Diaspora for more than 15 years, and he leads the world’s largest study of colon cancer genetics. He has led cancer studies in Israel since 1997. Dr. Gruber obtained his Bachelor’s Degree from the University of Pennsylvania, and his Master’s in Public Health and PhD in Cancer Epidemiology from Yale. He went on to medical school and his residency in internal medicine at the University of Pennsylvania. He completed fellowships in medical oncology at Johns Hopkins Hospital and in clinical medical genetics at the University of Michigan. 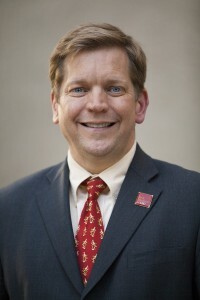 Dr. Gruber serves as the Director of USC Norris Comprehensive Cancer, part of Keck Medicine of USC, one of the originally eight designated comprehensive cancer centers by the National Cancer Institute (NCI). At USC, Dr. Gruber also holds the H. Leslie Hoffman and Elaine S. Hoffman Chair in Cancer Research. Dr. Gruber continues to see patients and families with inherited susceptibility to cancer and to run his research laboratory dedicated to discovering genes that cause cancer in families.